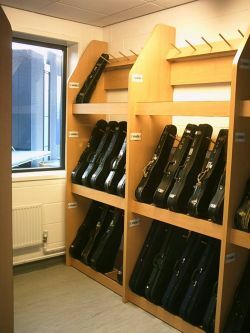 We manufacture any combination of freestanding and wall mounted wooden storage racks to accommodate your violins, cellos, string bass and guitars. 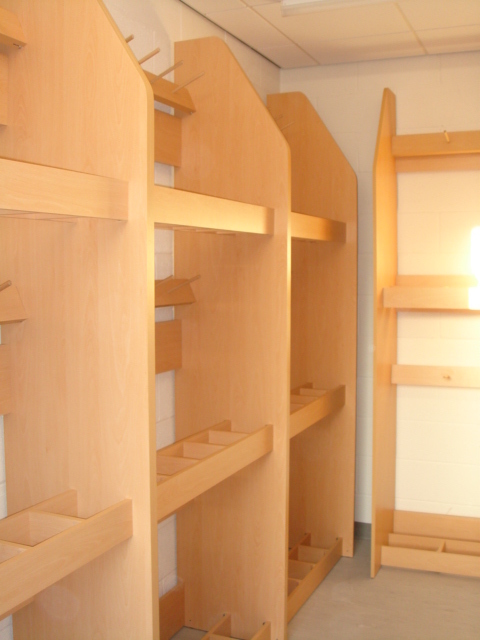 Our attractively designed storage racks are able to hold any number of instruments. Standard designs available, or we can easily customise units to fit awkward spaces. 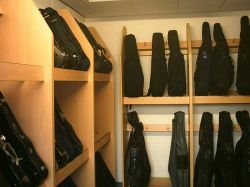 Mobile Cello, Bass, Violin & Guitar Racks are also available. Make the best use of your unused spaces by giving us a call to discuss your reqruirements on 01580 893889. 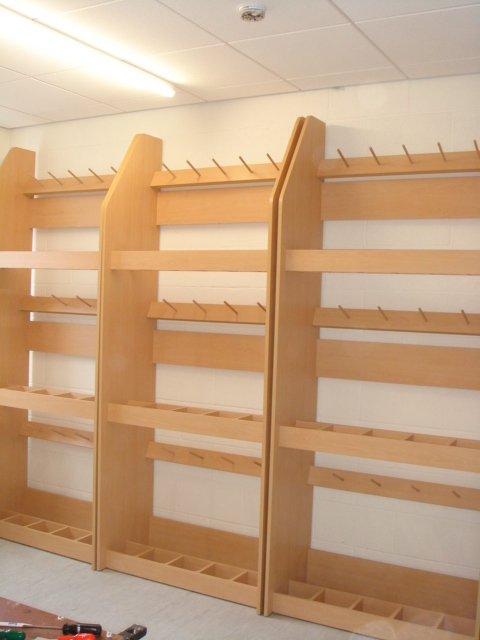 The photos below feature triple height violin racks and double height cello racks for Hull Music Service. Triple height violin racks above. Double height Cello Rack ahead with Triple Height Violin Rack to left.